Neil Gaiman, master storyteller, is back. This time, he’s retelling ancient tales of the Norse gods – the likes of Odin, Thor and Loki. Interested in finding out where Thor got his hammer? Or why the tides ebb and flow? You’ll find the answers in these stories. There are fifteen stories in all, spanning from creation to Ragnarok, forming a loose timeline spanning millennia. I was concerned going into this book – the only other Gaiman I’ve read has been American Gods, which is very dark. But the Norse tales, while occasionally violent, retain a mixture of cool detachment mixed with light-hearted fun. Gaiman explains in his introduction that he tried to discard the comics and other retellings of his childhood, and go back to very old versions of the tales. They are almost like fairytales or fables, with a moral to each story, but they do flow into and complement each other. Some of the tales are well-known, while others were new to me. Gaiman has made the stories accessible and often hilarious, while still writing in a classical style. The stories involving Thor and Loki are especially funny – Loki is up to his usual tricky and cunning self, and with Thor not being the brightest God in Asgard, he falls for every jape. 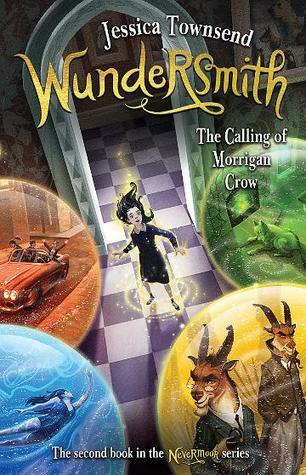 Gaiman’s Norse Mythology reminded me of Magnus Chase, Rick Riordan’s middle-grade series. Many of the stories of Valhalla and the nine worlds have also been retold there, so if your middle-grader is finding this one a little beyond them, they might like to try Magnus Chase. My only complaint about this book was that it’s less than 300 pages long. I could happily read for hours more about the antics of the gods! Still, I’ll be leaving this book in a prominent place for my children to enjoy, one day. Would you like to win a copy of Norse Mythology? Thanks to Bloomsbury Australia, I have a copy here for one lucky winner from Australia. You can enter via the rafflecopter form below. I can’t wait to read this! Actually, my husband is probably the bigger Gaiman fan in our house so I might have to fight him. I’ve always wanted to read a Neil Gaiman book and Norse mythology so this is really perfect haha. This sounds like so much fun so I’m glad you enjoyed it. With any luck he might do another mythology of more Norse tales some day! Thanks Bec, and good luck 🙂 Apparently he has done a few more children-focused retellings of Norse tales! I hope there are more! I’ll be really interested to see Neil Gaiman’s take on Norse mythology, especially if he’s steering clear of comics influences. I admit I’ve not read American Gods, but he and Pratchett did such a fantastic job with Good Omens. Yes! Wow, I need to re-read Good Omens, I read it so long ago that I don’t remember anything about it! I hope I win the give away!